IN BRIEF, THE LATEST AIRLINE INDUSTRY NEWS. 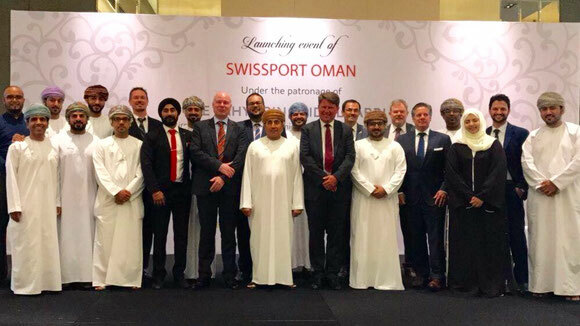 The Zurich-based worldwide handling entity, Swissport International, has announced that Swissport Oman initiated their Muscat, Oman operation on April 15th 2017. Launch clients for the new operation are flydubai and Air Arabia, two Middle East carriers who serve the Omani capital city with a total of ten daily flights. Swissport Oman offers both carriers a ground handling package which includes passen-ger and ramp handling, baggage services, operations coordination and load control. 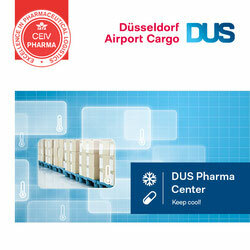 There are no cargo handling services included in the agreement. Swissport Oman operates together with its local joint venture partner, the Al Jarwani Group and there has been a considerable amount invested in new equipment and staff for the operation. The Frankfurt-based cargo handler, LUG aircargo handling, have taken another important step in their commitment to improving safety standards and quality by announcing that they are now certified to the standards and guidelines as laid down in the DIN EN ISO 9001:2015 and TAPA B status. LUG already held ISO 9001:2008 status with its quality management system and during 2016 the company went all out to optimize workflows in order to gain 9001:2015 certification. At the same time security operations in the handlers FRA facility were reworked and consequently raised to TAPA B standards. The WACO system, the international freight network for independent forwarders has appointed three new members in the Americas and along the so-called Silk Road. ITN Logistics is a new Canadian member as well as ACE Logistics Bel FLLC in the Belarus and Trans Global Projects (TGP) who are based in Azerbaijan. The three were officially introduced in WACO’s Annual General Meeting which was held last week in Valencia, Spain. The new appointments beef up WACO’s presence in Canada as well as giving the organisation a somewhat stronger presence within the Silk Road area. The Elbe Flugzeugwerke GmbH (EFW) situated in Dresden, Germany has just received a second Airbus A330-200 passenger aircraft which they will convert into a freighter. The aircraft which was produced in 2004 has been in a passenger configuration since then for EgyptAir and is expected to be handed back to the carrier as a freighter. EFW also has an agreement with EgyptAir for a total of two A330 conversions, the first of which is well under way and the first trial flight is expected to be in November of this year. Figures released by the Airports Council International show that worldwide air cargo tonnages grew by 3.3% in 2016 on those of the previous year. Approximately 106 million tonnes which included air mail, were moved. The international freight sector showed a 4.3% increase over 2015 and accounted for a total of 66 million tonnes or just over 60% of the total handled and carried. Hong Kong, Memphis and Shanghai held the top three positions for cargo handling volumes. Pacific Air Cargo, a Honolulu-based operator has agreed an ACMI lease with U.S. carrier Kalitta Air. The agreement is for a B747-400F which will replace a B747-200F which was also on lease to Pacific. The Kalitta B747-200 will be placed in long-term storage. Panamanian carrier UniWorld who are domiciled in Panama City has taken delivery of an ex-Capitol Cargo International Boeing 727-200F. This aging aircraft is the first 727F in UniWorld’s fleet and joins their only other aircraft, a fifty-year-old Douglas DC9-30F. Wasaya Airways, based in Pickle Lake, Canada, has received a converted Canadair Dash 8-100 P2F freighter. This is the first Dash 8 which has been converted into a freighter. 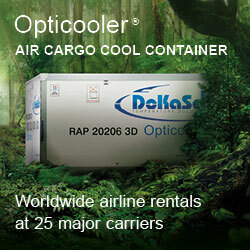 The aircraft can carry up to 4.5 tonnes of cargo. China’s SF Airlines has taken delivery of another B757-200PCF which was previously in passenger configuration for Thomas Cook Airlines and was converted for SF by Precision Aircraft Solutions at the TAECO factory in Xiamen. 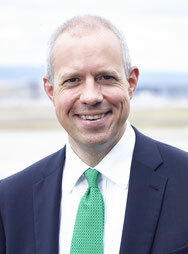 SF Airlines now operates eighteen 757Fs along with five 767Fs and seventeen 737 freighters.